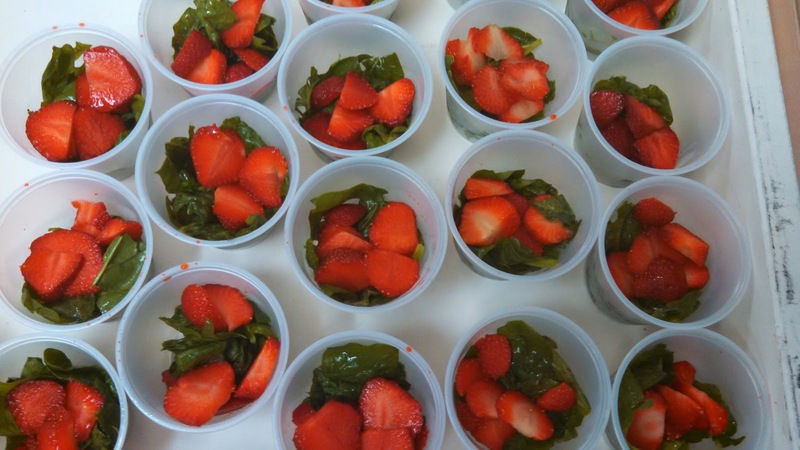 Last week students in the second and third grades at the Winter Hill Community Innovation School tried strawberry spinach salad, a fruit and vegetable combination not many had tasted before! The strawberries and spinach were sourced regionally (Pennsylvania and New Jersey, respectively). Funding for these items came from the Somerville School District Farm to School Project's USDA Farm to School Planning Grant. The students were suspicious at first. Many liked strawberries but few enjoyed raw spinach salad. We are happy to report that 100% of the students tried the salad! Principal Chad Mazza loved it, stating "Oh! That's good!" The teachers gave the salad a thumbs up too. Did you try the food? How does the food look? Would you eat the food again? 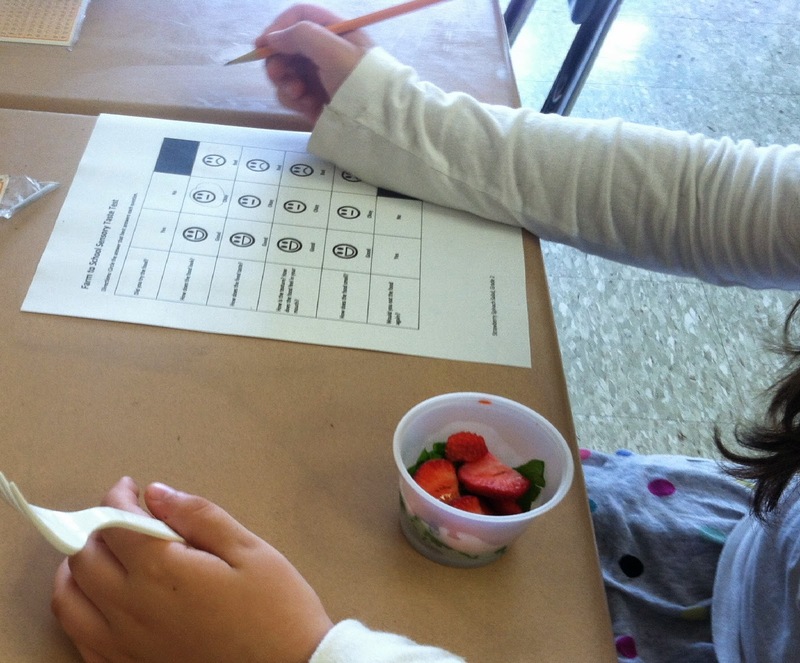 We have done many taste tests in our cafeterias where more children are able to try the food. For this test we wanted more in depth sensory information such as "How does the food look?" and "How does the food feel in your mouth?" 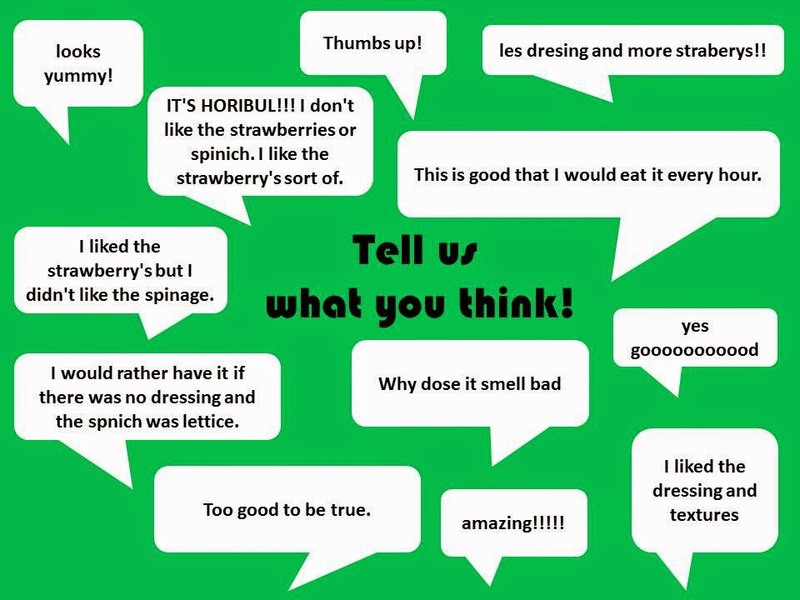 Questions like these help us get a better sense of WHY the students do or don't find foods appealing. The tasting started with a discussion about the 5 senses and how we use them when we eat. Then we dove right into tasting the salad! As they ate, they filled out their taste test forms. So, what are the results? 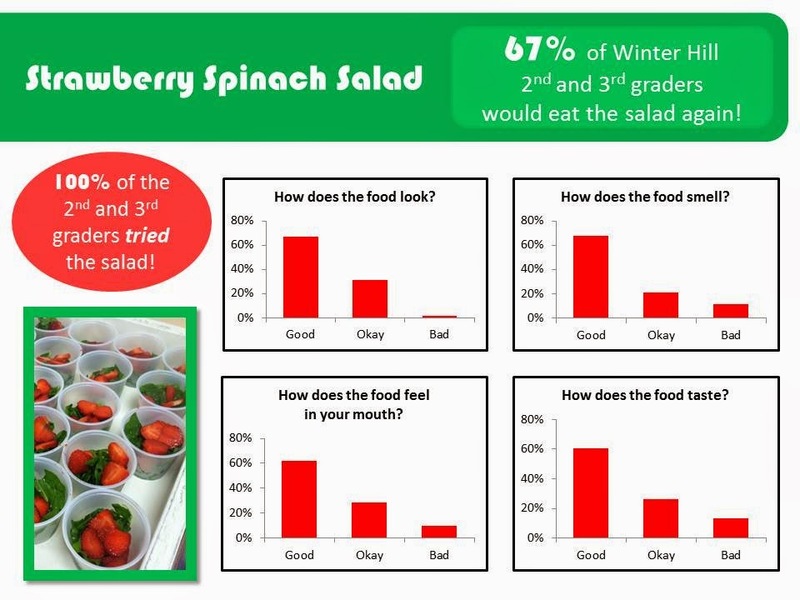 Sixty seven percent of 2nd and 3rd graders would eat the salad again! We consider that a success. Many asked when they would see it on the school lunch menu! Interestingly, 72% of the second graders would eat the salad again while only 62% of the third graders would. This shows us that younger students may be more open to different foods. So, taste tests (both in school and at home) should start as early in life as possible. That being said, it can take up to 10 tries to decide if we truly like a food. We also asked the students to share their opinions and did they ever! From the very positive "too good to be true" to the emphatically negative "IT'S HORIBUL!" the students openly gave their thoughts. Thank you to the second and third grade teachers for sharing your classrooms with us! Thank you to our volunteers Lauren Mancini (SPS FNS), Chris Mancini (Groundwork Somerville), Ellenor Barish (Community Advisory Team Member), and Ali Silverstein (Tufts University). Would you like to make this salad with your family? We will be posting the recipe shortly.